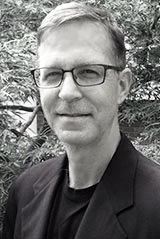 Phil Binkow is founder and CEO of Financial Operations Networks (FON), developer of InvoiceInfo’s suite of products. FON focuses on vendor self-service and vendor relationship management software-as-a-service applications. In 2002, FON founded The Accounts Payable Network (TAPN), the leading resource for individuals with management and oversight responsibility for accounts payable operations. Nearly 5,000 members use TAPN’s best-practices libraries, case studies, research, analysis, technology evaluations, practical tips, discussion forums, continuing education programs and customizable tools for AP planning and problem-solving. Phil is also co-founder of The Accounts Payable Certification Programs which has enrolled over 15,000 accounts payable professionals worldwide. TAPN was acquired by Diversified Business Communications in 2013. Prior to starting Financial Operations Networks, Phil founded and served as CEO of PayTECH, an electronic payables processing, disbursements and information services provider serving companies such as Oracle, Cisco, the Gap, Charles Schwab, Turner Broadcasting, NCR and Viacom. PayTECH grew to process over 100 million invoices annually and was acquired by Profit Recovery Group [NASDAQ: PRGX] in 1999. Phil holds a B.A. in Economics from Stetson University and an M.B.A. in Operations Research from the University of Florida. Mike has been Financial Operations Networks’ CFO since its inception in 2002. He brings over 25 years of accounting and financial management experience with privately and publicly held companies including treasury management and SEC reporting. 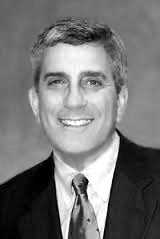 From 2000 to 2002, Mike was Vice President of Finance at ecHub, Inc., a business-to-business e-commerce company. 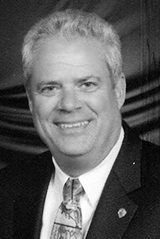 From 1996 to 1999, Mike was PayTECH’s Chief Financial Officer. Prior to PayTECH, he held senior financial management positions at Pediatric Services of America, Inc. and American Family Restaurants. Mike holds a B.A. in Economics from Furman University and an M.B.A. in Finance from Emory University. 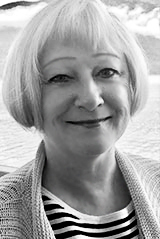 Patti joined Financial Operations Networks in 2006, after nearly 23 years of distinguished service as Executive Director of the Specialized Information Publishers Association (SIPA). She brings extensive marketing and customer service experience to the company. Prior to transforming SIPA, Patti was treasurer of Consumer Bankers Association in Washington, DC, and Controller of the National Rural Telecommunications Cooperative (NRTC), also in DC. Patti is author of The Ultimate Guide to Newsletter & Specialized Information Publishing. She holds a B.S. in Accounting from Benjamin Franklin University. Richard has been Financial Operations Networks’ CIO since 2002. From 1992 to 1999, Richard was CIO of PayTECH and was instrumental in designing and building the operating platform, website and IT infrastructure that handled over 100 million transactions annually. After the acquisition of PayTECH by PRG in 1999, Rich became Director of IT for PRG’s Logistics Management Division. Prior to PayTECH, Richard held technical and technical support positions at Texas Instruments, NCR and C&S National Bank, now Bank of America. Richard graduated with a degree in Business from State University of New York at Geneseo, where he minored in computer science and accounting.